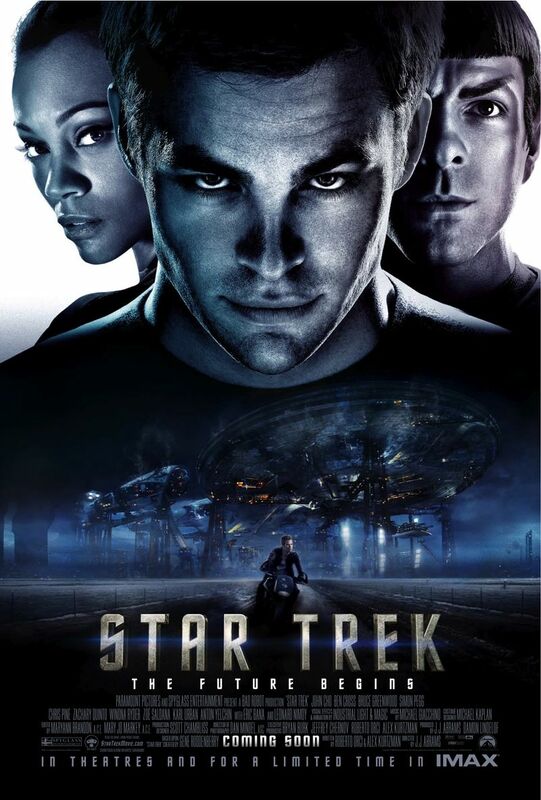 I may be a bit late in posting a review about the new Star Trek. It is not all that new, but I have just recently seen it. My review summed up in one sentence? I don’t get it. Not being a star trek fan (trekkie) and having never seen any of the television shows put me at a great disadvantage. I’m sure many of you in my position feel the same way. The movie feeds off of the show…and if you don’t know anything about that, well then you’re out of luck with this one. I pretty much sat on the couch in a daze of confusion for the movie’s drawn out two and a half hours while my counterpart sang a snippet from Adam Sandler’s “Hannukah Song” over and over again…Captain Kirk and Mr. Spock — both jewish! We were thoroughly befuddled. There was a lot of good action though! The special effects blew up the screen, officially making this a flick for the trekkie action film lover. I’m sure you trekkies had your hands full on this one.